Football fans and shoppers were today urged to support Fylde coast youngsters as part of a ground-breaking new project. Fleetwood Town FC Community Trust has teamed up with leading retailer Co-op to raise funds for vital community work aimed at improving the lives of local schoolchildren. The Co-op’s Local Community Fund helps support projects across the UK and since its launch in 2016, Co-op members have raised almost £40 million for more than 12,000 local causes. 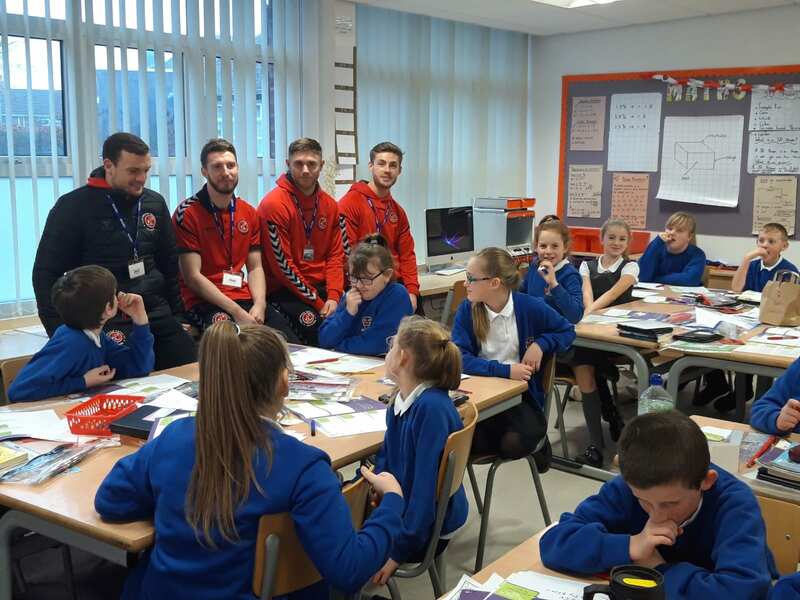 FTFC Community Trust – the charitable arm of Fleetwood Town FC – will now use money raised through the fund to provide an in-school programme which focusses on improving the health and well-being of youngsters in Fleetwood. All shoppers need to do to support the cause is become a Co-op member, select FTFC Community Trust as their preferred charity and then one per cent of everything they spend on Co-op branded products or services in local stores will go to the Trust. The Trust will use the money to engage with primary schools within Fleetwood and Wyre that suffer from high levels of social and economic deprivation. This will include Year 6 boys and girls, their siblings, parents and teachers, and will lead to the sharing of resources and good practice through a celebration event at the end of the project. Matt Hilton, Chief Executive of FTFC CT, said: “We are delighted to be teaming up with the Co-op for an initiative designed to help young people in Wyre. “All funding raised will go towards delivering a mental health programme that aims to increase awareness of emotional, health and well-being issues by building character and resilience in children. “The programme, which will be delivered to local primary schools by a team of community trust staff, is also designed to build confidence and aspiration in order that youngsters can achieve.